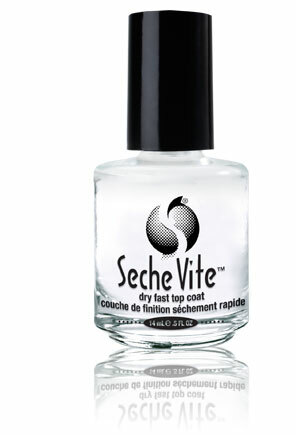 BeautyH2T: Seche Vete- better late than never! Seche Vete- better late than never! I know, I know so many of you will not be as slow as me and will already know the amazing, incredible performance of Seche Vite's very famous dry fast top coat. But I am always a bit behind the pack and only just decided to try it out, and boy am I glad I did. I have countless amazing mentions and reviews of this stuff but for some reason never got excited to own it, just a top coat I thought, good but not to be excited about. But then the other day, through boredom mostly I decided to take a closer look and when I saw in on Ebay for quite cheap I just went for it ( payday is my vice!) It came the other day, I came home and slicked on the amazing Chanel polish Hp bought me and slicked this on top. Oh my word, it is like I have a smooth, incredibly shiny, tough sheet of glass on top of each nail, and it dries SO quickly- I was so shocked! I really enjoy painting my nails but I somehow always end up enjoying this little treat last thing at night while lying in bed. I am always sure my nails are dry enough but then I wake up and they are covered in hair marks and smudges. That is going to be a thing of the past now thanks to this, I can paint away while tucked up with a dvd! I adore it and cannot recommend it enough if you love painting your nails and want them shiny and chip free for a LOT longer, so far it has kept my polish immaculate. I have heard that this stuff can go quite thick and you need to get a thinning agent from Seche to sort the bottle but I will report on that as I see it, for now though I am so glad I finally got in on the Vite gang! This is on my list of things to try! I am dying to try it too!